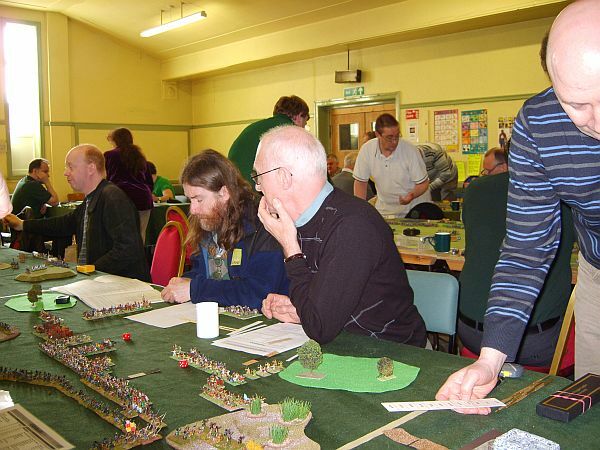 I feel I need to begin this post with a health and safety warning: this post is a wargamer’s tale of woe. Only read on if you are of strong disposition. 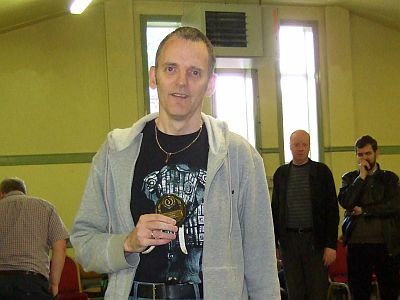 On Sunday, 19th April 2009 Graham Hutchinson and I were due to play in the Northern DBM Doubles League at Walkden, Manchester. We originally wanted to play singles but late on the Friday before we were asked to pair up due to a shortage of tables. Graham usually gets the first train from Liverpool to Warrington and we travel to Walkden together by car. I arrived outside Warrington Central in time to meet the 08:45 train from Liverpool: no Graham. I waited twenty minutes for the next train: no Graham. Bugger! After calling Geoff Pearson, one of the organisers, I reluctantly decided to head to Walkden arriving some fifteen minutes late for the start of the first game. Thankfully, Keith Murphy & Tim Kohler were very relaxed about it all and I settled down to pit my Later Polish against their Rus. Then the problems began. Firstly, I forgot that my double based regular Bw(X) fight as Sp(O) with rear support and I used them as Sp(I) with no rear support throughout the game. Next, as it was the first time they’d fielded the army, Tim & Keith didn’t realise their irregular Sp(O) were impetuous until well in to the game. Finally, my command and combat dice were appalling; I lost 4 war wagons and numerous Kn(O) to 6:1 results. These were just a few of the low points. The main high point was the arrival of my Lithuanian flank march in the fifth bound. Despite all this, the game was busy and enjoyable producing a really close “slug fest” finishing just after 13:00. Tim & Keith won the game 24-8 when I lost a Kn(O) breaking a command which then caused a cascade of broken commands breaking the army. In a much appreciated sportsmanlike gesture, Tim & Keith offered a draw as we had made so many mistakes in applying the rules. However, as this was a competition game, the result stood. 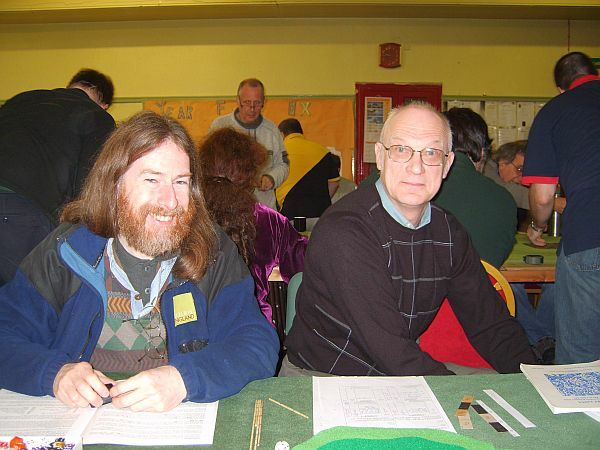 After Lunch I played Bill Skinner's New Kingdom Egyptians (five regular commands and an inert general) with the Polish Knights invading Egypt: a true competition situation. 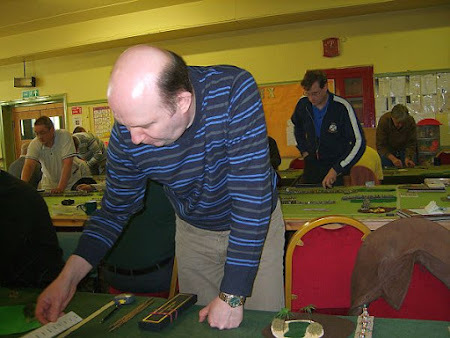 Bill’s a very relaxed and deliberate player which helped me play a more patient and considered game in the afternoon having overcome the travails of losing my partner and rushing to start the first game on time. Despite the larger army (75 extra points for the inert general) and five regular command dice, Bill was very concerned about the Polish Knights. He placed all his infantry in rough going or in the large Built Up Area (BUA) he’d placed on his right flank. He tucked his chariots, Cv(S), out of the way protecting the gaps between the various patches of rough going. I think we both thought that I’d have to attack the chariots with my knights to win as I didn’t really have the infantry to contest the rough going. Needless to say that the game didn’t work out that way. I rolled my Bw(X), War wagons and Artillery towards the two patches of rough going containing two thirds of Bills’ infantry and proceeded to shot. In stark contrast to the first game my dice were excellent and Bill’s infantry died in droves. By the time the knights reached the chariots one of Bill’s large commands was disheartened and the other was close. A few additional losses inflicted by the knights broke both commands and the army. As I’d only lost three elements, worth 5 MEs, I ended up with a 32-0 win. Talk a about a day of two halves. Yet the biggest surprise of the day was yet to come. 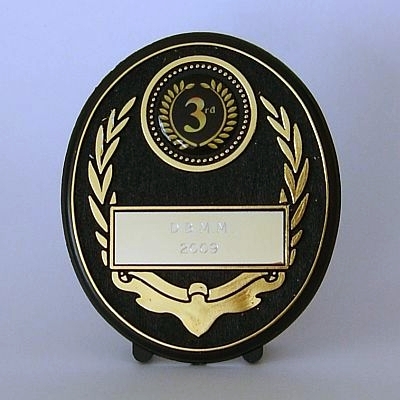 When the points were added up it emerged that I’d come third with 40 points. When playing doubles, having a partner helps. Early starts don’t suit me. Arriving late is a major disadvantage. Trying to play “under stress” doesn’t suit me. Being Befuddled isn’t always the biggest handicap. Finally, if I ever get another place I must try not to look so stupid in the presentation photograph. Never played in a competition situation. But, I have had one or two games like that where I arrived somewhere and started disorganised so I know how it feels and how your thinking processes can go to pot. But well done for coming 3rd. So was Graham hijacked by Somali pirates or what? Pirates! Thankfully not unless they were working for First North Western. Graham told me earlier today that he got on the right train which stopped just outside Liverpool station for over twenty minutes due to a points failure.